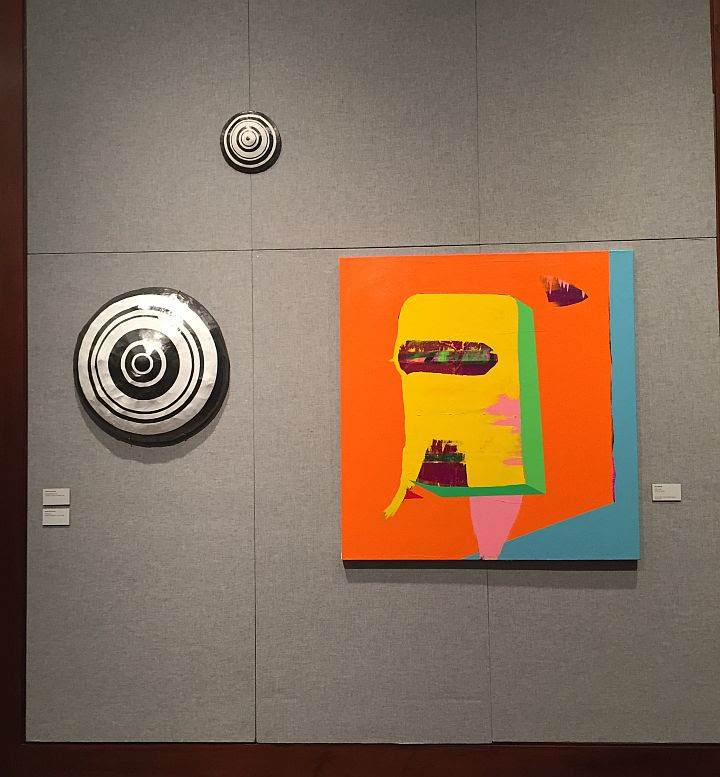 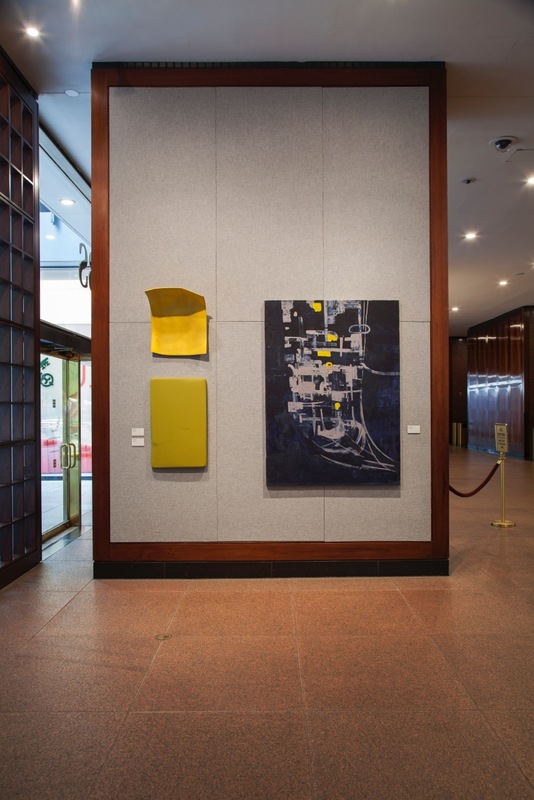 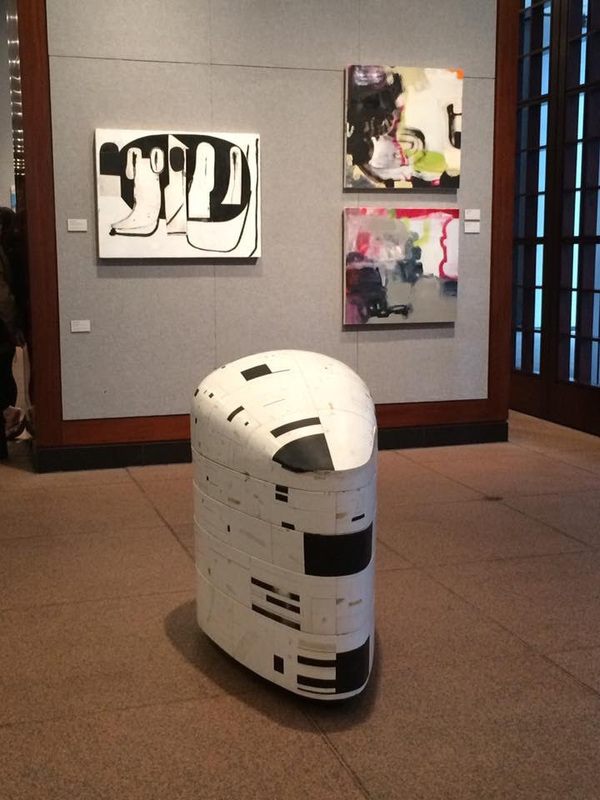 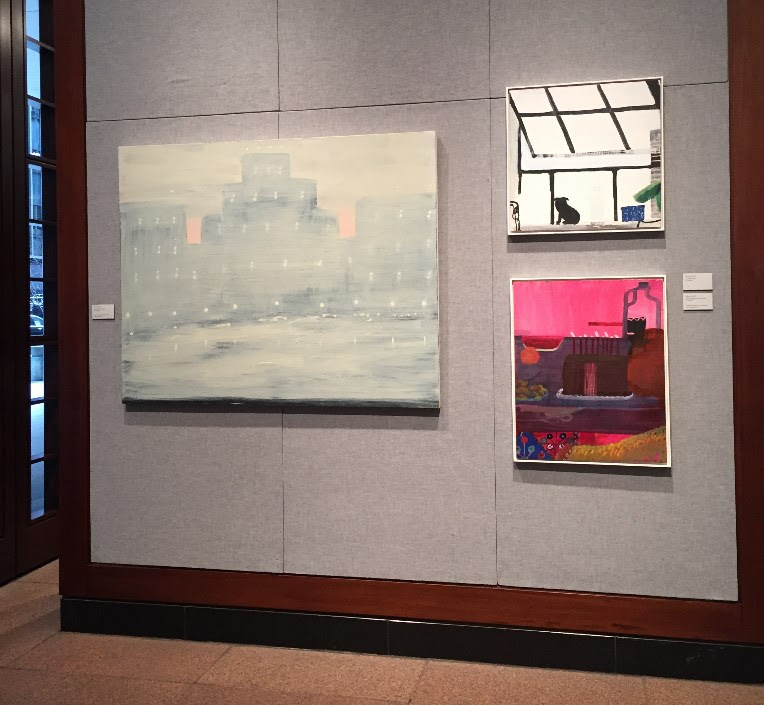 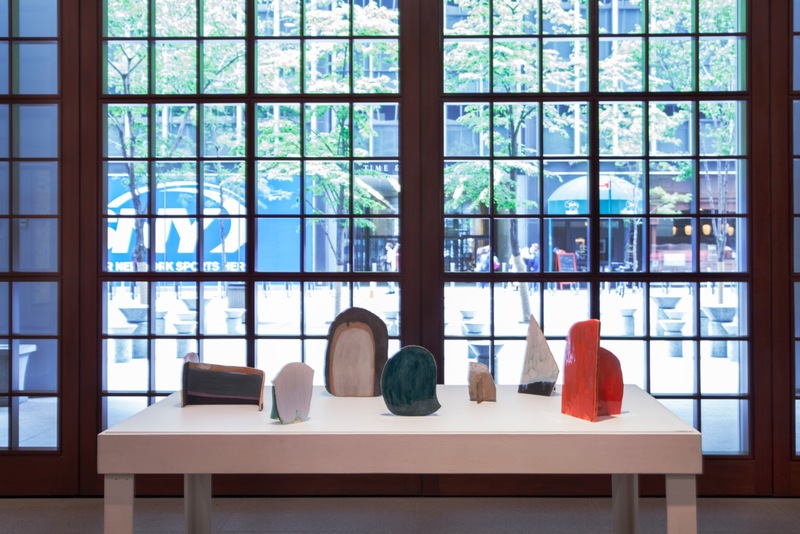 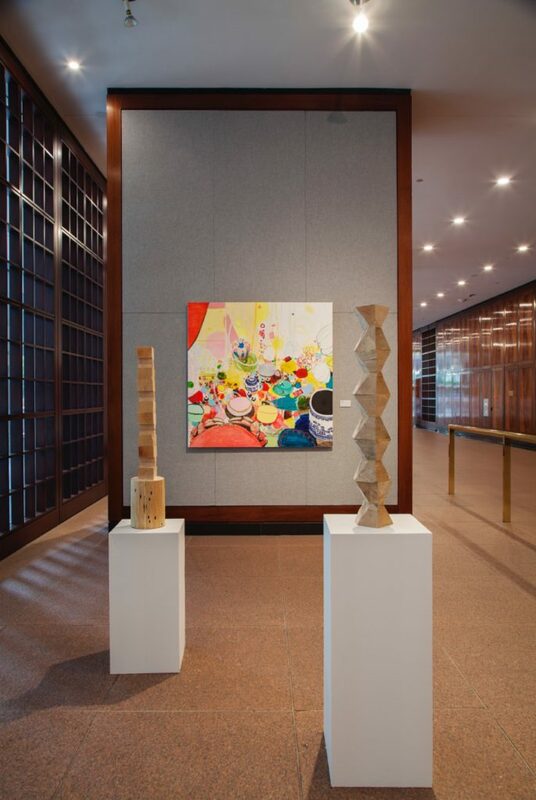 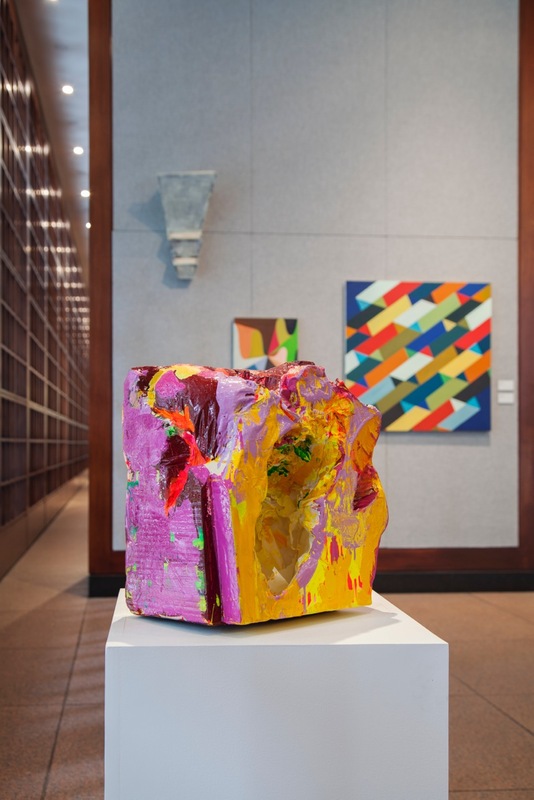 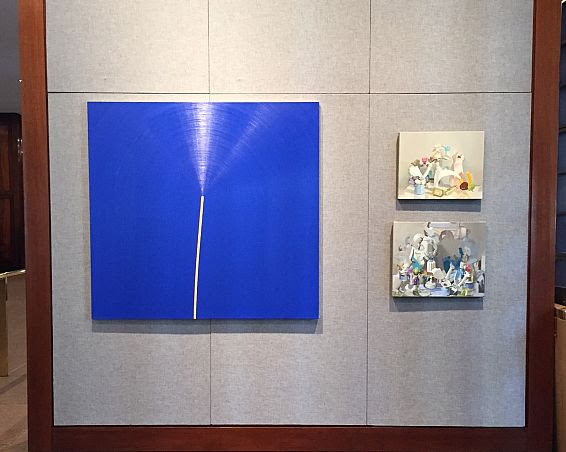 Gallerist Elizabeth Heskin and artist Patricia Spergel, in collaboration with the NURTUREart Registry of Artists and Curators, have assembled a lively exhibition of contemporary abstraction at the 1285 Ave of the Americas Art Gallery. 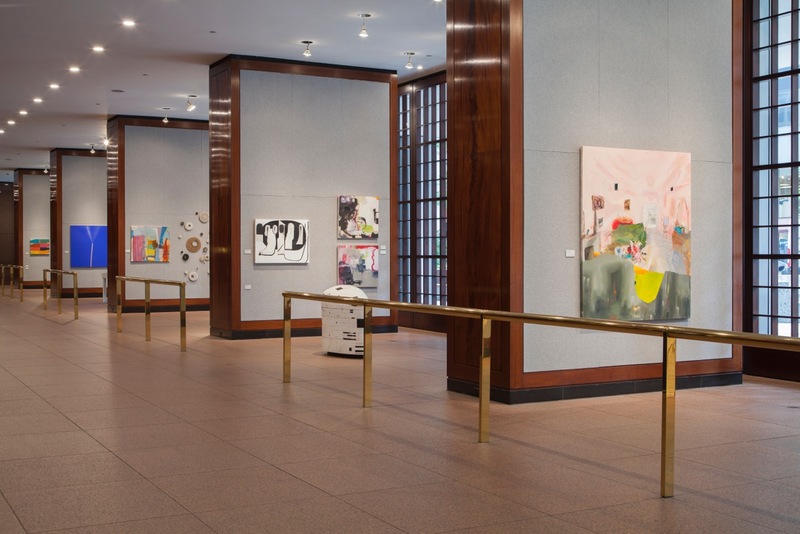 Aptly titled “Drishti: A Concentrated Gaze” after the yoga practice that brings awareness inward through focusing the outward gaze to a concentrated point, this exhibition includes work by 36 artists who value intuition and emotion over intellect. The press release includes a wonderful quote from James Brooks from a 1963 article in Time Magazine on the occasion of his retrospective at the Whitney Museum of American Art: “The crucial thing for a painter is getting to the point where he can maintain some sort of pictorial balance between alertness and dumbness, where he is thinking but it can’t be classified as thinking.” For readers who like to look, I highly recommended this exhibition of local and Facebook favorites. 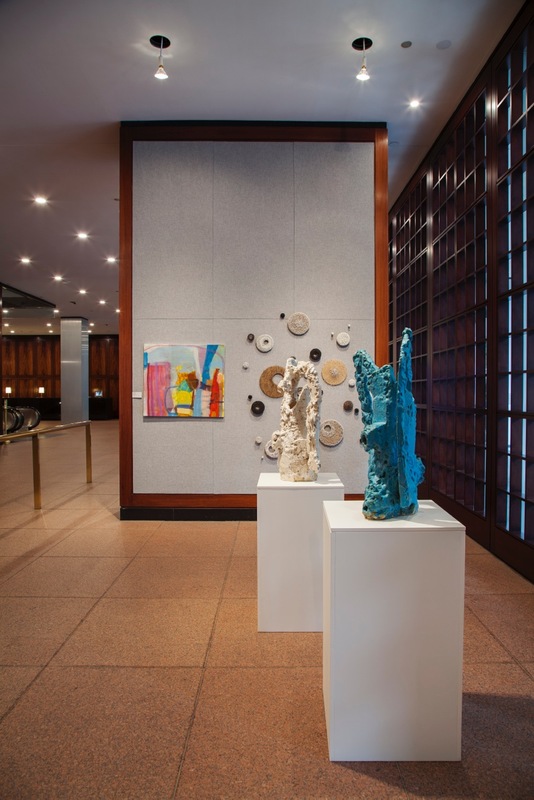 To see individual pieces by each artist in the show, readers can view the exhibition catalogue here. 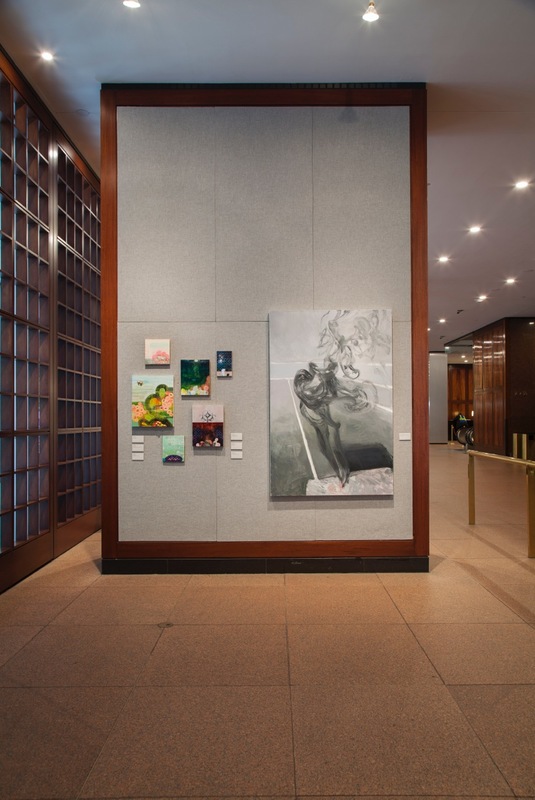 “DRISHTI: A Concentrated Gaze,” curated by Elizabeth Heskin and Patricia Spergel and presented in collaboration with the NURTUREart Registry of Artists and Curators. 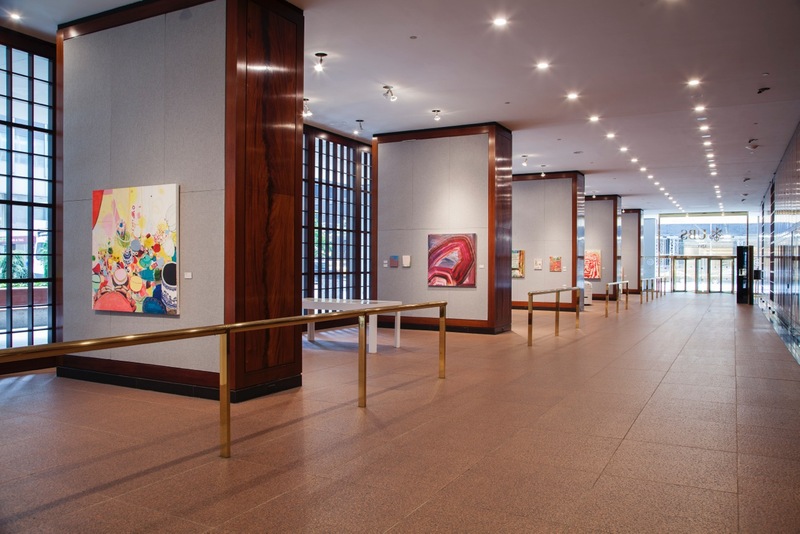 1285 Ave of the Americas Art Gallery, between 51st & 52nd streets, midtown, New York, NY. 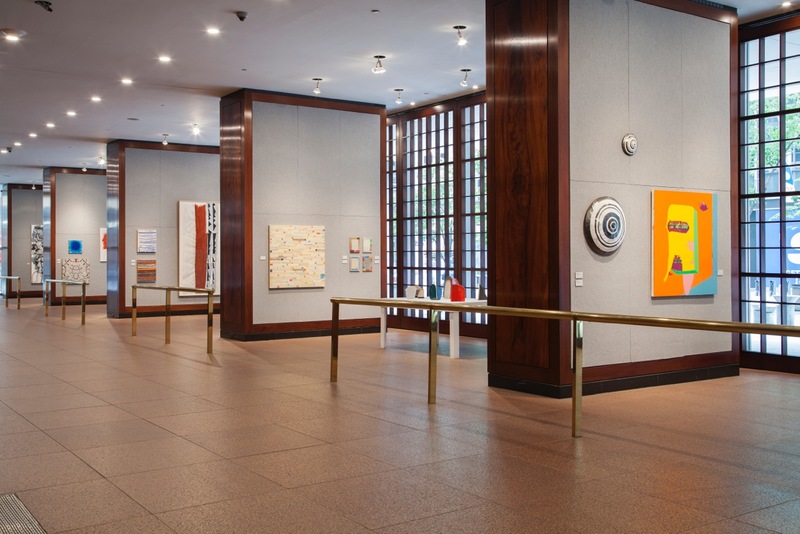 Through July 1, 2016. 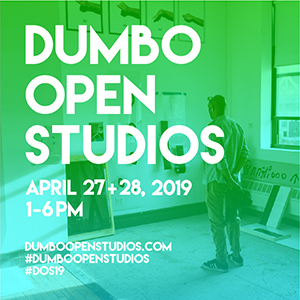 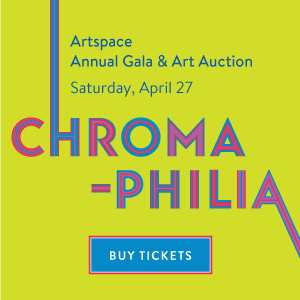 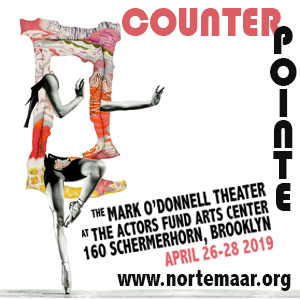 Participating artists: Andrew Baron, Jebah Baum, Paul Behnke, Emily Berger, Mary Bucci McCoy, Sasha Cohen, Guy C. Corriero, Beth Dary, Graham Durward, Ashley Garrett, Nicola Ginzel, Elizabeth Gourlay, Hiroyuki Hamada, Julian Hatton, William Holton, Sharon Horvath, Erick Johnson, Zachary Keeting, Osamu Kobayashi, Jaena Kwon, Aubrey Levinthal, Timothy Linn, Sarah Lutz, Kathryn Lynch, Amy Mahnick, Jackie Meier, Tracy Miller, Keiko Narahashi, Petra Nimtz, Fran O’Neill, Mary Schwab, Judith Simonian, Sandi Slone, Patricia Spergel, Sarah J. Tortora, Katharine Umsted.